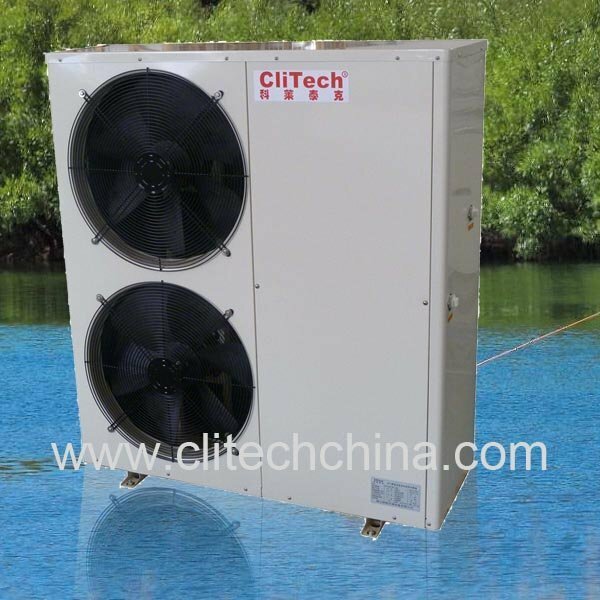 For low temp area design Clitech CAR- EVI air source heat pump series, has good performance at very low temp even at -25 degree, and work ambient temp range from -25C to 43C. 2.Low: Air source side inlet dry bulb is 7C, wet bulb is 6C, and inlet water temp 10C, outlet water temp 55C. 3.Super low: Air source side inlet dry bulb is -15C, wet bulb is -17C, and inlet water temp 10C, outlet water temp 55C. Unbelievable price on Water heating - 20KW EVI heat pump top COP in Foshan (China) company Foshan CliTech Air-conditioning Equipment Co., Ltd.